For those of you who will be invited for the N-Power aptitude test/assessment, here’s a sneak peek at the kind of questions you might encounter. 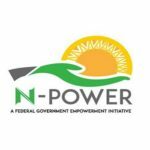 These are sample questions from the test/assessment given to candidates of N-Power Teach. Q: If the day tomorrow is Sunday, what was it yesterday? the uppercase worD.] Few people prefer the RURAL to the ______ areas. Q: Bose shouldn’t have interrupted the teacher, _________? Q: Are you willing to be deployed to a rural area? Q: At this time, do you have any computer programming or software development skills? Q: Do you have any physical disability? Q: Which of these classifications and/ or post-graduate degrees apply to you? Q: What is your current employment status? I took the last N Power exam,but I don’t know why my name was not short listed,the last interview exam for N.C.E holders.pls I will like to see the short listed names again. 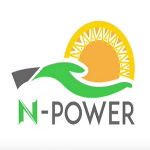 I will be glad if I am notified when Npower has opened its website for recruitment.